This month, join us for five true, personal stories about consciousness -- both from the folks who study it and those who have experienced altered states of it. We’ll present stories about how one man’s art saved him after 20 years in a mental hospital and how Alzheimer’s resurrected a relationship between an estranged father and daughter, as well as some reflections on consciousness from a jail cell, a love story between a neuroscientist and a freestyle rapper, and the tale of how a young scientist’s entanglement in a riot helped shape his theory of consciousness. Hosted by Paula Croxson and guest host Samia Bouzid. Heather Berlin and Baba Brinkman will be telling a story together. They live in New York with their two children. Heather Berlin is a cognitive neuroscientist and Assistant Professor of Psychiatry at the Icahn School of Medicine at Mount Sinai. She practices clinical neuropsychology at New York Presbyterian Hospital/Weill Cornell Medicine in the Department of Neurological Surgery and is a Visiting Scholar at the New York Psychoanalytic Society and Institute. She explores the neural basis of impulsive and compulsive psychiatric and neurological disorders with aim of developing novel treatments. Passionate about science communication and promoting women in STEM, Berlin is a committee member of the National Academy of Sciences’ Science and Entertainment Exchange, and The New York Times series TimesTalks. She is host of the PBS series Science Goes to the Movies, and the Discovery Channel series Superhuman Showdown, and co-wrote and stars in the critically acclaimed off-Broadway and Edinburgh Fringe Festival show, Off the Top, about the neuroscience of improvisation. 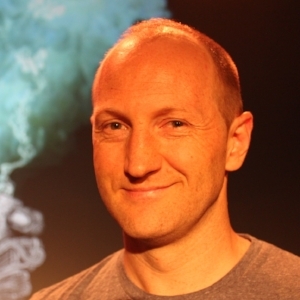 Baba Brinkman is a New York-based rap artist and playwright, best know for his “Rap Guide” series of hip-hop theatre shows and albums that communicate challenging scientific fields to the general public. Baba has produced Rap Guides to Medicine, Religion, Evolution, Climate Change, Consciousness, and Wilderness, among other topics. He has performed on MSNBC’s The Rachel Maddow Show, shared stages with Stephen Hawking and Richard Dawkins, and toured worldwide including runs at the Sydney Opera House, the Edinburgh Fringe, and off-Broadway in New York, and has been nominated for and won multiple theatre awards. Micah Danney is a freelance journalist based in Brooklyn, N.Y. His work has appeared in local publications across Long Island as well as WNYC, Juvenile Justice Information Exchange, Mental Floss, The Times of Israel and the New York Daily News, among others. He was a recipient of Stony Brook University's Jeanine A. Rescigno Award for exceptional in-depth reporting by a non-traditional student. He's currently a student at the CUNY Graduate School of Journalism. Erik Hoel is a postdoctoral researcher at Columbia University. His research on consciousness and emergence has been profiled in outlets such as WIRED and Nautilus magazine. Essays of his have appeared in The Atlantic, The Daily Beast, Big Questions Online, among others. Influenced by growing up in his family’s independent bookstore, his award-winning short fiction has appeared in literary journals such as Arts & Letters, American Fiction, and Strange Horizons. A NYC Emerging Writer Fellow, he has recently finished a novel. As an African-American man diagnosed with schizophrenia, in treatment, and survivor of a twenty-year institutionalization in Creedmoor Psychiatric Center Issa Ibrahim believes he has seen and experienced the absolute worst that the American mental health care system has to offer. Suffering through a spiritual emergence/psychotic break in 1990 that culminated in the accidental death of his beloved mother Audrey, the criminal justice system decided to grant him the Insanity Plea. However, he found that solution was just another circle of hell. Put on the fast track to nowhere Issa used the gifts his artistic parents and God gave him to write, sing and paint his future, creating like his life depended on it…because it did. Since petitioning and winning his freedom from the asylum in 2009, Issa has devoted his life to using his artistic gifts to give a voice to the voiceless, hope to the hopeless and honoring his mother by taking her along every step in his journey. Alison Smith is a writer and performer. Her writing has appeared in Granta, McSweeney’s, The London Telegraph, The New York Times, The Believer, Real Simple, Glamour and other publications. Her memoir Name All the Animals was named one of the top ten books of the year by People and was shorted-listed for the Book-Sense Book-of-the-Year Award. Smith has been awarded Barnes & Noble Discover Award, the Judy Grahn Prize and a Lambda Literary Award. The grand-prize winner of 2017’s Ko Festival Story Slam, Smith will play Jane Jacobs in the Amazon series The Marvelous Mrs. Maisel. She lived in Brooklyn, NY. Guest host/producer Samia Bouzid is a student at the CUNY Graduate School of Journalism with a focus in science journalism. She is passionate about science communication and stories of human migration. When she’s not telling stories, Samia plays the viola, dances salsa, and explores the city on her bike.